Founded in 1955 with Genichi Kawakami at the helm as the first President, Yamaha Motor Co., Ltd have been producing motorcycles in various guises for around 64 years. Now established as one of the four main Japanese manufacturers alongside Kawasaki, Honda and Suzuki, there is an abundance of Yamaha machinery available on the used market; from 50cc two-strokes to 1679cc muscle bikes and everything in between. In celebration of this fact, MCN has compiled a list of five great ways to own a Yamaha, selecting great examples from the world of sportsbikes, nakeds, adventurers and more. What’s more, with a well-established dealer network and long-standing popularity, servicing and spares are often readily available. What are you waiting for? 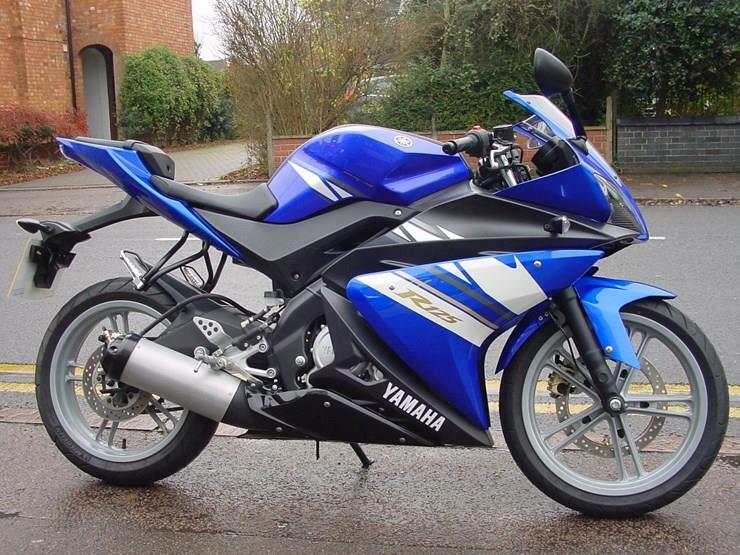 Grab a Yamaha with MCN Bikes For Sale today. Launched in 1998 to a sportsbike-craving motorcycle scene, the original R1 is widely considered to have moved the performance bike goal posts quite considerably upon its arrival. Much like the 1992 Honda FireBlade before it, the R1 was a breath of fresh air; using a 998cc 20 valve inline four engine, producing 150mph. In a land of stodgy Kawasaki ZX-9Rs and late '90s Blades, it was nothing short of sublime. 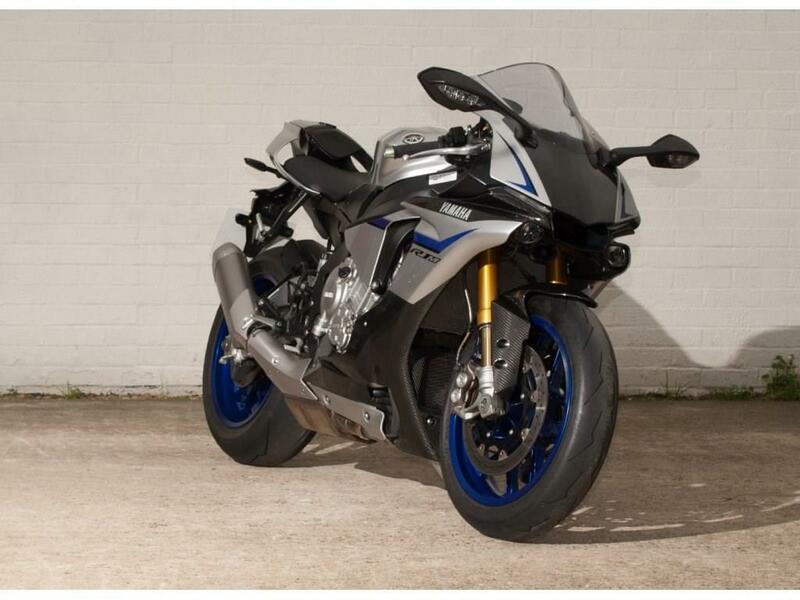 Fast forward 20 years and the R1 has been through a number of changes in order to meet stringent emissions regulations and stay relevant in the ever-moulding superbike arms race. 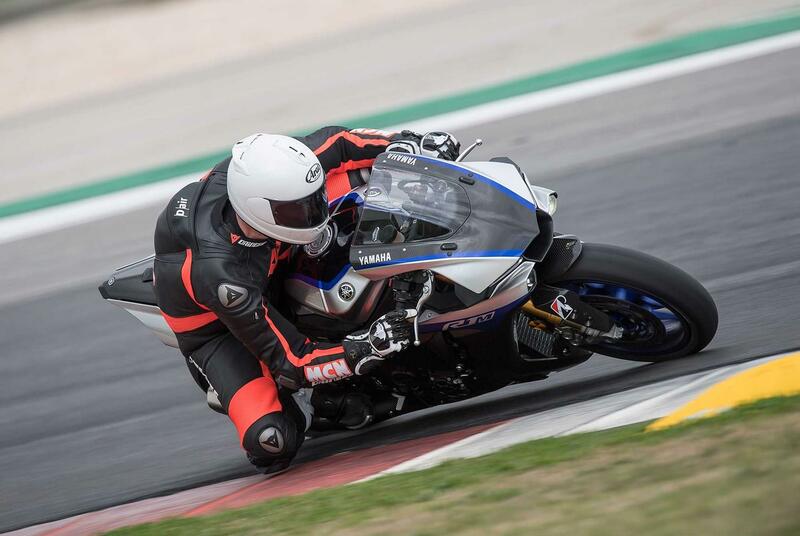 MCN’s pick in particular is the R1M; which remains the firm’s flagship superbike, boasting lashings of carbon fibre, MotoGP-derived technology and nearly 200bhp. When the MT-07 arrived in 2014, it took the world by storm. With a launch price of just £5199, the bike handled far better than it deserved to and the 689cc parallel-twin engine was engaging without being intimidating for new riders. Although offering a smooth, easy power and torque delivery, the 07 is capable of delivering huge thrills when called upon. A whole 7kg lighter than the inline four engine in the similarly specced Yamaha XJ6, crack the throttle in second and up the front wheel will come with ease. Its predictable nature also means it’s incredibly easy to leave it hoisted high. The plucky Yamaha was updated in 2018 to address some of the previous bike’s handling problems. Although the old bike was adequate, the newer version benefits from upgraded suspension for greater feedback and confidence at speed. This particular version of the Tenere was spawned in 2010 and proved a popular addition to Yamaha’s already bulky line-up. Boasting just 109bhp from its 1199cc engine, what the XT1200Z lacked in outright performance and off-road prowess it made up for in stability. A kerb weight of 261kg might make the big Ten a bit of a handful when moving it in and out of the garage, however once you’re on the move it loses all sensation of bulk – with the weight distribution being bang on. This weight also helps keep the bike planted at speed and at 120mph it remains rock steady. Alongside this, it will also cut along your favourite back road with ease. Although criticised for being unable to hang with the likes of the BMW R1200GS, it remained popular with fans; demonstrated by the fact that over 50 used models are currently for sale through MCN. Yamaha’s gorgeous YZF-R125 has been with us since 2008 and in that time has appeared in three different versions, all successfully capturing the imagination of sportsbike lusting teens the world over. Yamaha launched their latest R125 earlier this year, boasting new R1-inspired styling and a brand-new four-stroke single-cylinder engine, complete with Variable Valve Actuation (VVA). Although the latest version costs an impressive £4499, those on a tighter budget will be pleased to know used example start from as little as £2500. Although lacking the VVA technology, older examples are by no means bad, still offering big bike styling, a genuinely sporty riding position and quality stopping power from top names like Brembo. As with any 125, be sure to check for crash damage before parting with money, as many bikes will have been owned by novices. The TMAX name first appeared in 2001 and since become a byword for luxurious two-wheeled commuting. Although incredibly popular in mainland Europe, the UK has been slow on the maxi scooter uptake, meaning used examples are harder to come by. 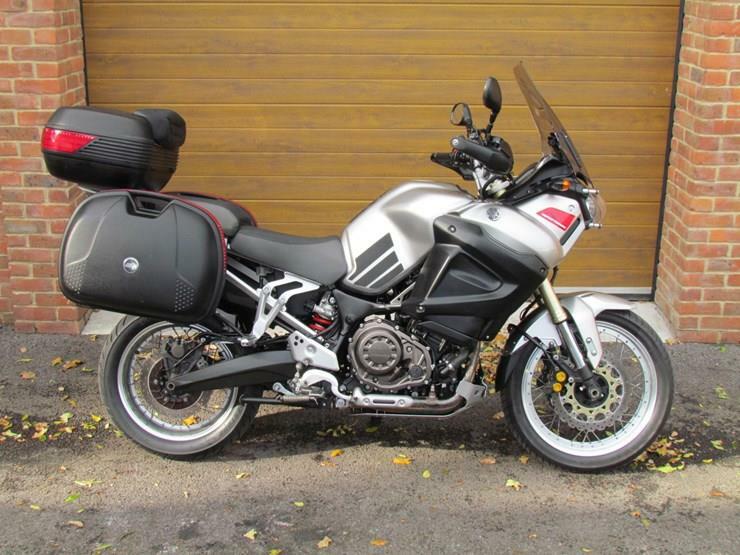 Often unfairly ignored due to its twist-and-go transmission, the TMAX offers credible performance and handling alongside mountains of luggage space and bucket loads of comfort for both a rider and pillion. It’s engaging in the bends and would be capable of short tours, as well as the daily commute, year-round. 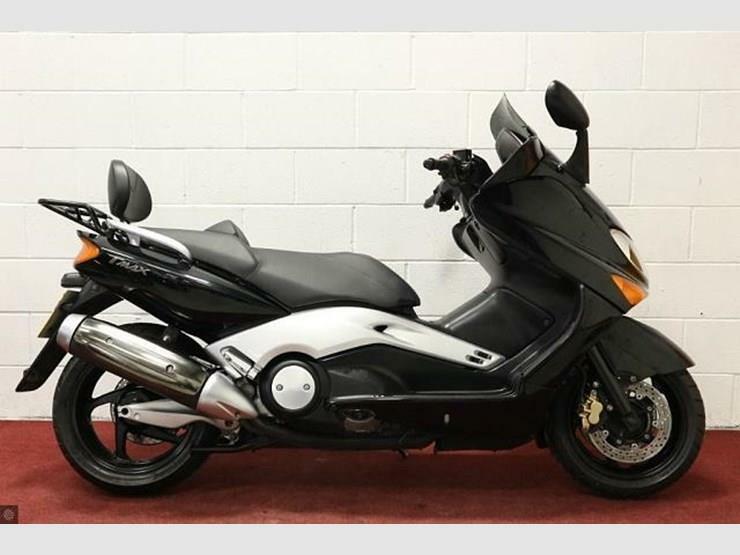 And, if you’re not quite convinced, MCN’s very own Chief Road Tester Michael Neeves is the proud owner of a TMAX DX, using it year round for commutes, distance rides and even the weekly shop! Buck the anti-scooter trend and find yours today. 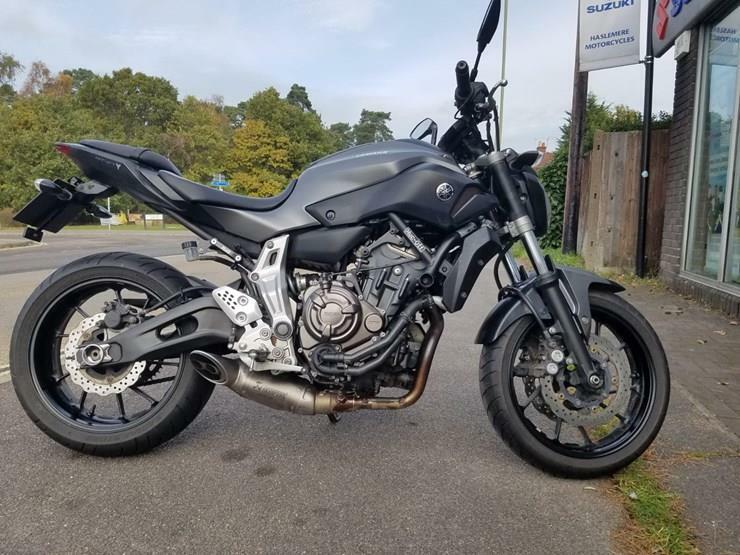 Find a used Yamaha for sale.